5. Maximaze – Mister, is this right? We tried this problem a few times and thoroughly enjoyed it. 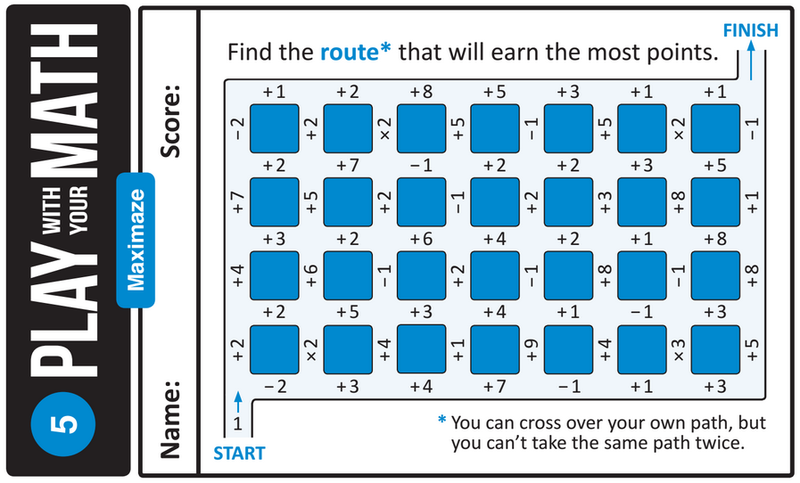 We created our own maze, took the operation-number pairs from the original version (Copyright(c) 2003 Ryosuke Ito), added a few extra pairs to fit our larger maze, randomized the operation-number pairs, and started brainstorming strategies. Without a handout, this problem is completely inaccessible. 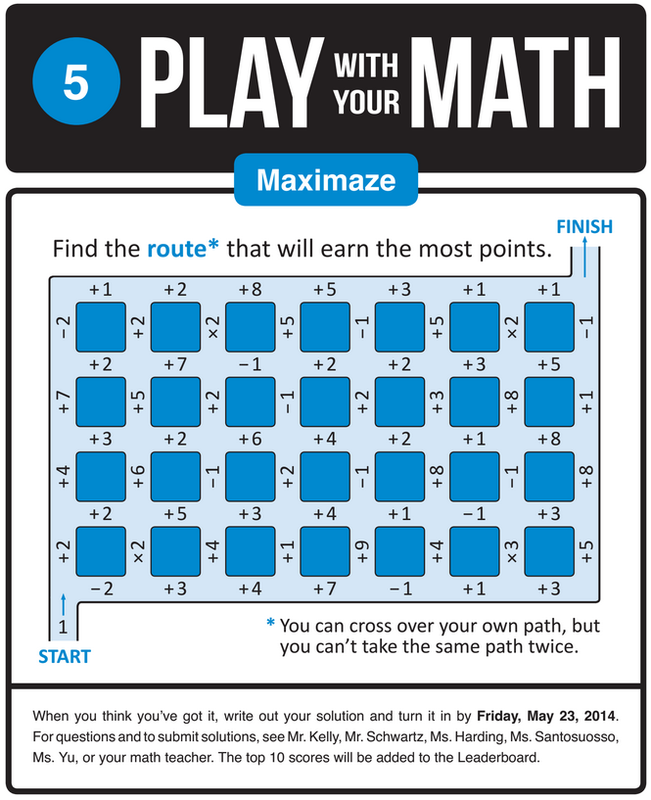 In fact, anyone reading this post should probably print out the maze so you can try it yourself. Anyway, we made a second version of the maze to fit a half-sheet of paper and printed a bunch of copies. 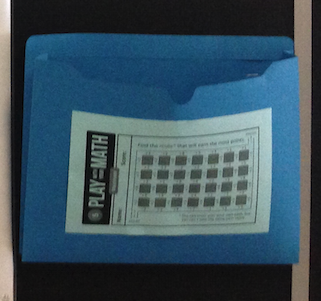 We printed handouts on both sides of blue paper and put them in a folder in each of our classes. In the hallway, we had the poster, a folder, and a leaderboard that we updated everyday as needed. I gave them to all my students, and some of them kept going back for more. Eventually, we started seeing them everywhere. I had students working on it during lunch and after school. I saw teachers trying it out. I found copies on the floor, in the trash, and outside on the street. It rivaled Pentagram in popularity and felt even more satisfying. While Pentagram had a quick and easy feedback loop, feedback can be slow for Maximaze. Many students struggled to accurately calculate their scores, and in all honesty, we struggled to calculate them too. Ms. Yu had a friend write a program to speed things up. But once they calculated their score, the social aspect of the problem and the public leaderboard helped show students that there was room for improvement. While Pentagram plateaued with repetition, Maximaze got better and better – or at least it did for me. When my initial score was beaten, I went back and tried to be systematic and thorough. I made some conjectures, broke the problem up into pieces, ruled out some wacky ideas, and refined my strategy. And this maze is complicated enough that I was able to make a lot of interesting progress without completely solving it. Because we created the maze ourselves, we had no idea what the maximum score was. As such, we got to play too. We even busted it out at the restaurant during April vacation. 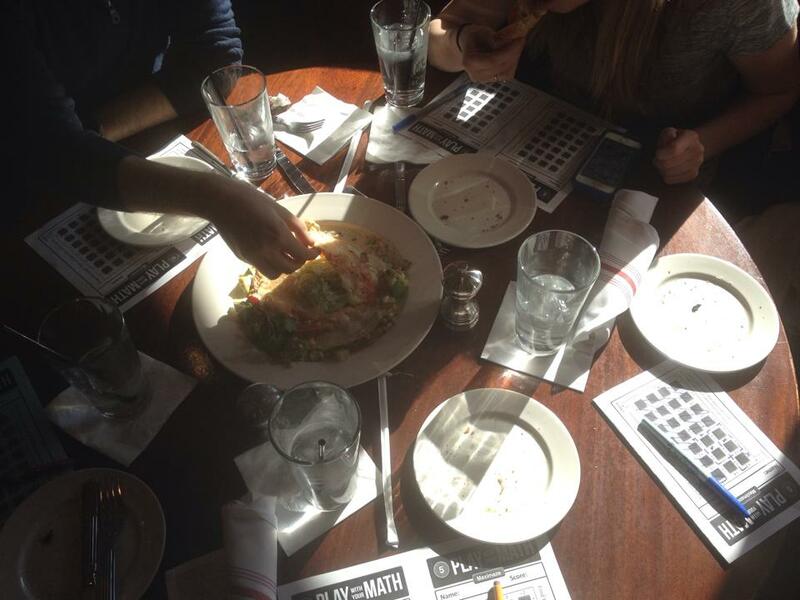 Appetizers and math problems – a perfect combo! I’m competitive. I got a pretty high score on my first try, only to be beaten by Ms. Yu. I put some real effort into it and beat her score, only to be beaten again. In the end, she scored 3226 and I scored 3190. I lost by 36 points. And then one of my former students scored 3226 too. Let’s not dwell on this. But seriously, it was fun to work on the problem along with the other students and to talk to them about it on equal footing. After about a month, the leaderboard stabilized, and all ten names were male. There was initially one female student on the leaderboard from my honors precalculus class, but her best score was the one she got during class – she did not get hooked and keep trying. 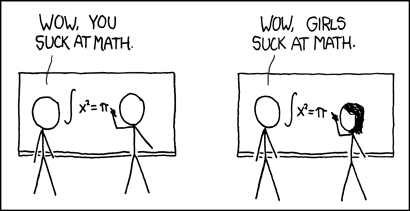 While math has historically been dominated by men, that should not and need not continue. As a teacher, I have the power to perpetuate inequity, and if I didn’t stop and reflect on these results, I worry that I might be doing just that. Are male students better at this type of problem than female students? No. But then why did the male students get higher scores? My conjecture: they spent more time on it. 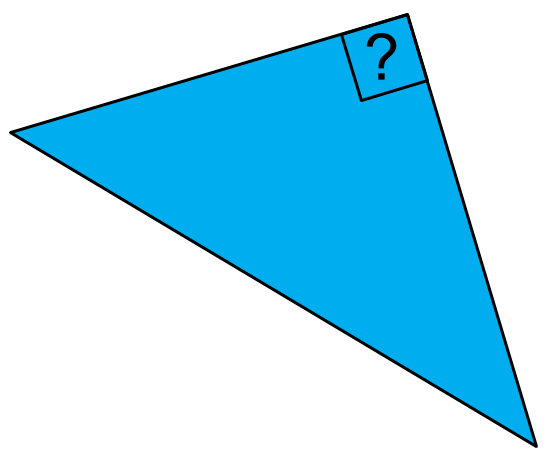 And that thought raises new questions: What makes math problems engaging for all students? How do we create a class/school culture in which all students think they should and can be on the leaderboard? Great idea. I think it’s awesome that you’re giving kids problems that no-one has solved yet. I’m stealing this and using it at my school. Hopefully it’ll take off…if it does I will send pictures. I’ll continue to follow to see the new stuff you come up with. If you’d like to collaborate at all coming up with new things, shoot me an email. I had one of those periods with nothing to do today, and I gave this to my kids. It may have been the quickest 40 minutes of my teaching career; every student was engaged the entire time. Thank you.